Getting married on or around most holidays can lower your attendance, because most of your guests have vacations or other events already planned. Most people don't plan any trips around New Year's, though, and they will probably be looking for something fun to do to celebrate. What could possibly be more festive and romantic than watching a couple begin their new life together? Reason #2: Champagne, Champagne, Champagne! It's no secret that champagne is the classic drink used to ring in the New Year. It's also an incredibly popular beverage at most weddings. Why not combine the two and get double the champagne?! It's a perfect excuse. Let's be honest... A wedding kiss surrounded by sparklers makes for some of the most romantic wedding photos of all time. Having your wedding on New Year's Eve gives you a great excuse to celebrate with sparklers galore. It's true! Days during other months can blend together, and people (even those in your bridal party) can have trouble remembering your specific anniversary date. Having a New Year's Eve wedding, on the other hand, is so momentous that very few people (if any) will forget your wedding day. Ask anyone who has been to a wedding on New Year's Eve; most of them will say it was the most fun wedding they'd ever been to! 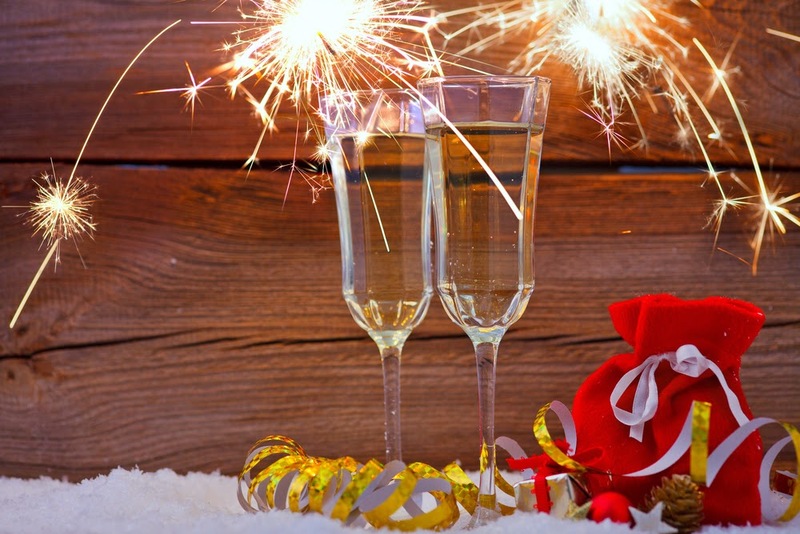 There are lots of ways to make your New Year's Eve wedding really pop. For example, you can shower the dance floor in confetti at midnight, you can set up a big TV and watch the ball drop with all your family and friends, or you can even time it so that your wedding kiss happens at the stroke of midnight. No matter how you decide to celebrate, your New Year's Eve wedding is sure to be a big hit. Happy New Year from WhereBridesGo.com! Whether or not you're planning to say "I Do" on this awesome holiday, all of us at WhereBridesGo.com want to wish you and your family an absolutely magical New Year!